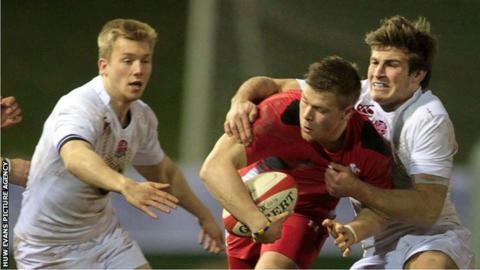 Barney Nightingale has made four appearances for Wales under-20s. Newport Gwent Dragons have given senior contracts to six academy players. Forwards Keagan Bale, Leon Brown and Harri Keddie plus backs Barney Nightingale, Lloyd Lewis and Arwel Robson have all signed four year deals. Bale, Keddie and Nightingale have all played for Wales under-20s. Dragons Director of Rugby, Lyn Jones said: "All of these players are local Gwent lads and they have proven their talent throughout their time with the Academy."